Future high value data and communication services will be delivered by LEO satellite constellations networks. The complexity, criticality and time scales of the services to be delivered necessitates a fully automated and resilient approach to satellite and constellation management. As a response, GomSpace has developed the Mega-Constellations Operations Platform (MCOP) from the ground up for highly scalable and automated operations using the most modern software technologies available. Operations and management of all assets of the complete mission system. Cost effective both for single satellite In Orbit Demonstrations to full-blown constellations in revenue services. Fully automated routine operations and highly automated contingency operations, providing hands-off and even lights-out operations. Automation allows mission managers and operators to focus on value improvement through tactical optimisation of satellites rather than handling day-to-day chores. The automation also enables near-instantaneous change in operational modes. Powerful visualisation and data analytics providing complete situational awareness that gives a consistent view to all actors. Lean and agile approach, using our high-quality DevOps processes from the design to decommission. This way we can adapt your in-orbit satellites to meet your changing goals, be it more capacity, better responsiveness or extended life-spans. Near real-time plan resolution, so you can try out different scenarios without affecting operations. Modular design to meet your specific mission needs. The product is developed under contract with ESA with first operational deployment in mid-2019 followed by a rapid release cycle with new features and supporting a growing number of missions. MCOP is offered as an "operations-as-a-service" solution or locally deployed at customers' premises. 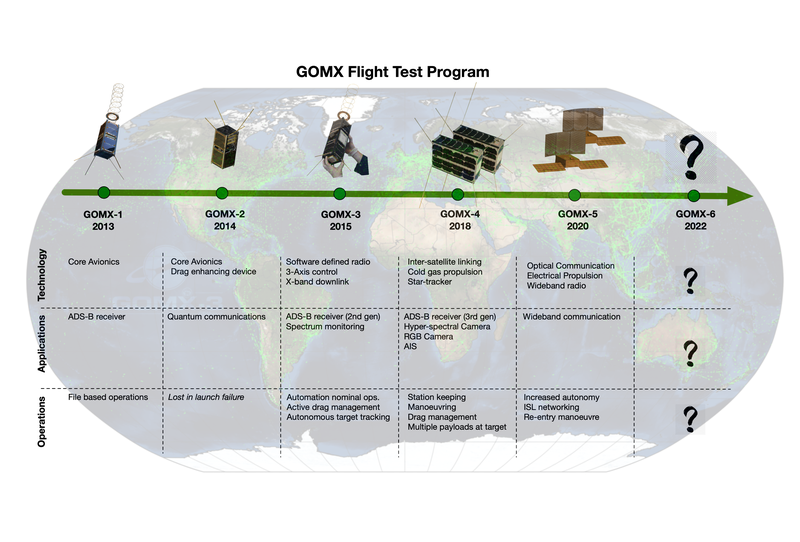 MCOP is developed based on our lessons learned from our GOMX flight test program, which over the years have proven new capabilities for nanosatellite in space including inter-satellite linking and automated operations. We have operated and trained operational staff since 2013, where we met all operational goals, performed in-space upgrades, and de-orbited satellites. Our operational experience is now present in our satellites technology and in our operational platforms and this feedback loop will only grow over the years.